- Our camp is limited to the first 50 registrations. 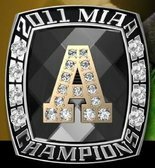 - Every single camper is personally coached and evaluated by the Adrian College coaching staff. - Off field sessions include topics such as Leadership, Team Building, and Strength Training. - We offer the most affordable 3+ day residential camp in the state. The Adrian Soccer Academy Summer Prospect Camp is open to all young women from the ages of 12-20. Prices are listed below, all campers will also receive an Adrian Soccer Academy t-shirt. Camp check-in will take place at 4pm on Friday, July 13th in the lobby of the Merillat Sport and Fitness Center located at 200 S. Charles St. in Adrian, MI. Camp Checkout is 5pm on Sunday, July 15th in the Bulldog Room, upstairs in the Merillat Center just off of the Stadium concourse.